No matter what anyone tells you, stories can change the world. But it often takes courage and guts to make real stories that can jumpstart a real social change. Stories are powerful catalysts in the world. This is why stories shouldn’t be a game of illusion; they are way too powerful to do just that. It’s not about brands seeming real or authentic by saying the right things that tap into the zeitgeist. Harnessing the true power of culture in commerce is not about putting on a veil of corporate interest that better mimics the cultural surroundings of the now. At their best, brand stories should inspire people to be better versions of themselves, motivate them to achieve the goals they wouldn’t even dare to take on individually and create and cultivate the collective consciousness that makes a cultural change possible. 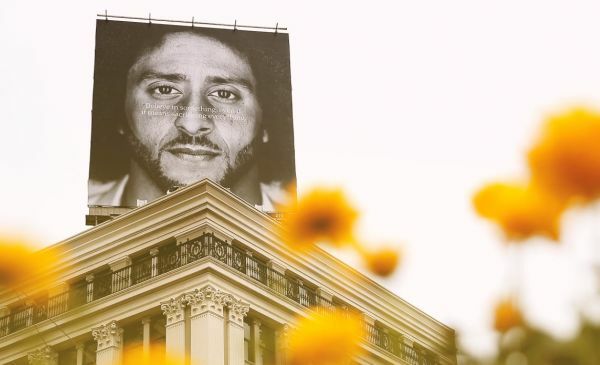 Brands that are not afraid to take the step (such as Nike) will be rightfully celebrated for decades to come. If you are a brand owner, you must stay true to your brand heritage and the core essence of the brand while projecting a sense of relevance within the cultural fabric of society. That’s where true cultural relevance comes from. It’s not about seeming relevant by gaining better camouflage of social approval, such as Pepsi did in their gloriously gone wrong campaign celebrating a vague and decontextualized sense of global unity; it’s about catalyzing an honest change for a higher social interest. A change that is believable, culturally accurate with a clear direction towards the future. This emotional charge is incredibly important because it’s this core emotion embedded in your brand story that puts things in motion and motivates people to take action in their lives. Depicting vague feats of unity will never have either the power, or the velocity to do that because the emotional charge has been flattened and deflated. Brands should help people attain goals worthy of pursuit. They should maximize human interest. Support people via the equipment they sell to fulfill their own potential and achieve things they wouldn’t be able to achieve otherwise. Branding and marketing shouldn’t be about manipulating people into buying things they don’t need to impress people they don’t like. That is an old cultural narrative that marketing no longer needs because people are no longer so gullible. They’ve sobered up. What they need now is honesty, purpose and meaning. They crave real values that can help them become better versions of themselves. They’re looking for trust. And to be worthy of people’s trust, brands need to change how they think and act in the world. There’s no reason why branding and marketing as commercial disciplines could not equally serve the good. At the core, both marketing and branding are forms of crafted communication with the intention to form a human bond and a lasting relationship with people. And you need to be relevant, useful and honest to do that. You have to create things of meaning that genuinely add value to people’s lives. Meaning is a mating game – it’s about both parties involved, brands and people, sharing values and proactively pairing up to meet in the middle. Where meaning is shared, it’s a match. This match of meaning creates the human bond. When this meaning is missing, there is no match, and therefore no purchase, no loyalty and no human bond. Let’s not forget this when we create new campaigns, products and services. We don’t need to pander to people through cross-validating consumer whims via market research, we don’t need to use strategy to outsmart our own customers and use marketing to manipulate them into buying. It’s equally possible to inspire people, create new inspiring value that truly matters to them, makes their lives easier or more enjoyable. It’s all about the intention with which we create marketing. The old paradigm of fear-based marketing needs to die. Where there’s fear, there’s no meaning. Where there’s meaning, there’s no fear. Let’s choose the second route because it not only creates more value, it’s also more sustainable.